New Utah Gardener: Little Bluestem Grass - Schizachyrium scoparium - Awesome in Utah! Little Bluestem Grass - Schizachyrium scoparium - Awesome in Utah! 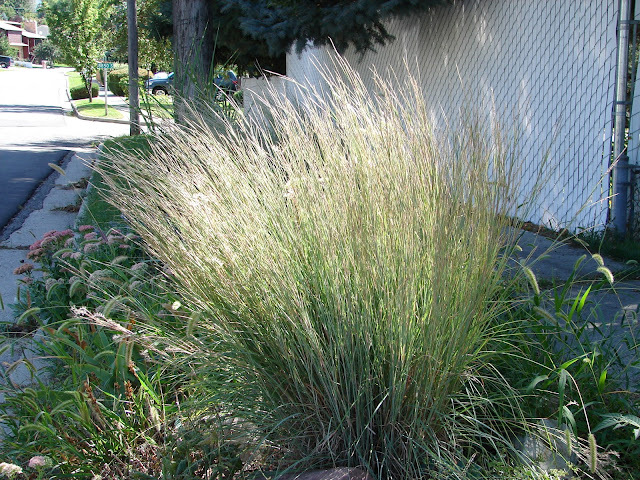 Little Bluestem Grass is an excellent native grass that can be grown in Utah! It is considered a North American prairie grass and is found all over the United States. In fact, it is the official state grass of both Nebraska and Kansas. Little Bluestem is found in areas of Southern Utah, so we can claim it as a Utah native as well! 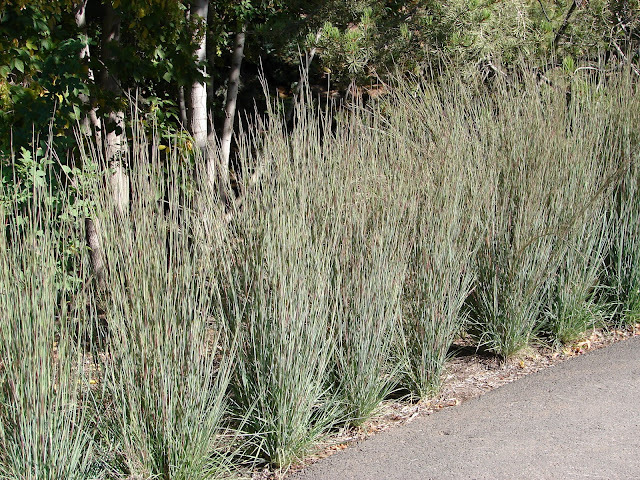 Growing about 1.5 to 2 feet tall, Little Bluestem is an outstanding performer in a Utah waterwise landscape. It has blue-green upright foliage and it turns pinkish red in the autumn. It's water needs are very low - it needs to be soaked once every few weeks during the hottest times of summer (July and August). The only maintenance it requires is a good cutting to the ground in March. Excellent in mass plantings for structure and impact. I've had zero luck with bluestem in UT! What is your secret?